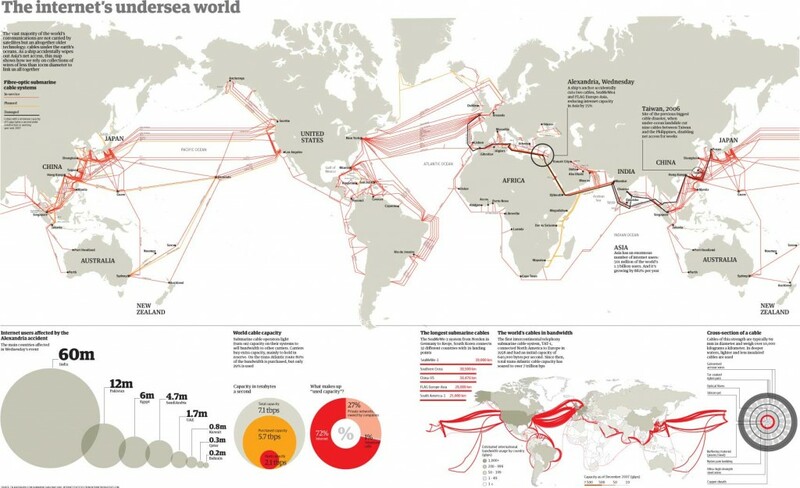 How does the Internet cross oceans? The vast majority of the world’s communications are not carried by satellites but an altogether older technology: cables under the earth’s oceans. There are several transatlantic communication cables that span across the oceans! They are like massive Ethernet cables! 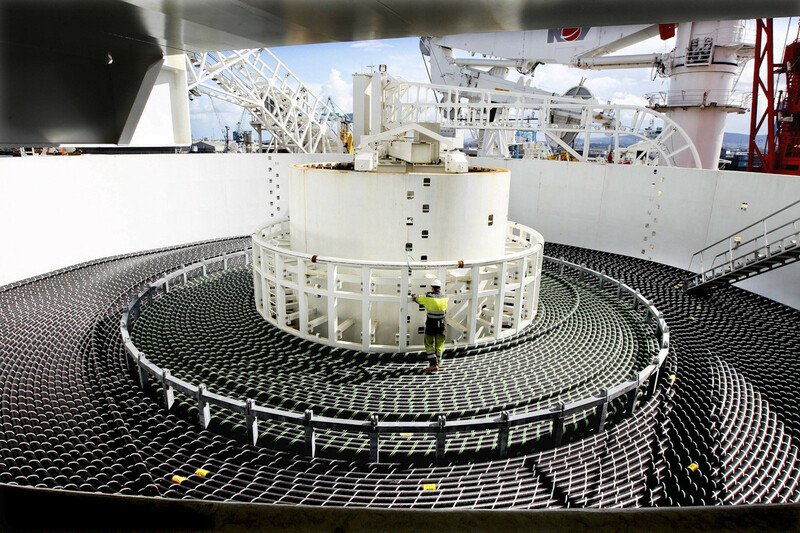 This map shows how we rely on collections of wires less than 10cm diameter to link us all together. You can also explore submarine cables interactively here.